Wow. That was a more exciting election since Iran's last week. We even got insinuations of voter fraud! We've made it! So right down to the wire Larry Niven's Ringworld just barely edged out John Scalzi's Redshirts. Neither is a perfect choice for everyone. We've done Mr. Scalzi's books as a main pick recently and as an alternate book previously so he's had lots of coverage. 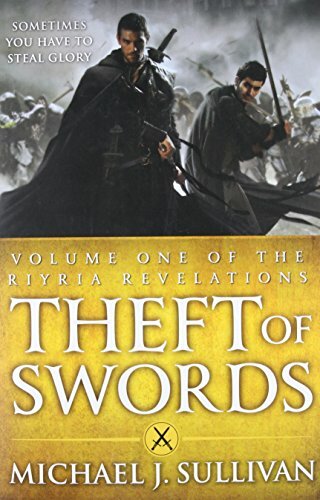 on the other hand there does not seem to be a legit ebook of Ringwolrd (there are print copies and audio copies) which is a deal killer for some. So here's what the electoral commission has decided. Ringworld got the most votes. It's our pick for July. But for the first time since before we went to a strict monthly schedule, we will have an OFFICIAL alternate pick. The votes were just too damn close. So get out there and read whichever one you like. I'll be diving into both and I know Veronica already has read Redshirts. And remember no book pick is ever going to please everyone in this club. It's not meant to. It's meant to expose you to books you might not pick up otherwise. And if you're grumbling about not having an ebook, remember the people who often grumble that the book is not in the library and they don't have ereaders. We're all in this together. Now go enjoy some reading! *In absence of Veronica who is on vacation electroal commission consisted of Tom and his two dogs. S&L Video - #09 - Interview with John Scalzi and Assassin's Apprentice Kick-off! Here for your viewing pleasure are the two videos that, combined, compromise Episode 9 of the Sword and Laser! We interview the fantastic Mr. John Scalzi, and in our August book kick-off discuss one of Veronica's favorite picks, Assassin's Apprentice by Robin Hobb! It's our end of month book club wrap-up. We tell you our thoughts on Leviathan Wakes by James S. A. Corey, look at what you were saying about it on Goodreads and announce our book pick for August! Since practically the first moment we discussed doing the book club, Veronica has told me how Tad Williams was the foundation of her fantasy reading history. Today, we get the pleasure of talking with Tad about what he writes, how he writes, and why he's become the godfather of Sword and Laser. Bay Area-based Tad Williams is the author of many outstanding books, including several series, such as Memory Sorrow and Thorn, Otherland, and Shadowmarch. On a personal note, his novel Tailchaser's Song was the book that basically got Veronica interested in fantasy in the first place! Follow him on Facebook! In your discussion on the use of German in FlashForward, I cringed when you pronounced “jawohl”. It is pronounced like “yah-VOLE”, and is something you would expect to hear on Hogan's Heroes reruns, or in the phrase ""Jawohl, mein Herr! "", but I never heard it in Germany when I lived there for several months in the mid 80's. As promised, here's a small pronounciation lesson for some of the German words that you talked about in the last episode. If you have any more questions, just ask. Have a great day and looking forward to the next podcast, Anne. Gantt, AJ, Michael, Joseph, Adam, and Daric! Next time we'll kick off: Ready Player One by Ernest Cline. And Reamde, if you're so inclined! We're kicking off our brand new book selection, Blindsight, by Peter Watts! We don't have too many Quick Burns today... mostly just GoT news. Would you expect anything less? Map of the free cities. From Wikipedia: Blindsight is a hard science fiction novel by Peter Watts, published by Tor Books in 2006. On 29 March 2007, it was nominated for the Hugo Award in the Best Novel category. Watts has also released the novel online under the by-nc-sa Creative Commons license. The novel deals with a crew of astronauts investigating an extraterrestrial entity and explores the nature of identity and consciousness. The title refers to blindsight, a neurological condition with implications for philosophy of mind. The Chinese Room scenario features prominently in the book. Thanks to Harold for making us an Infostripe! Giveaway for The Once and Future King books! Post to the thread to win. Did Harry Potter Really Steal All These Story Ideas? What makes Arthur so great? We wrap up The Once and Future King and The Princess Bride . Just listened to Episode #46 where it was asked at what point is there good books to start off to get into Discworld. I too have been wondering how to get into reading Terry Prachett's books, so I did a little search and found this post from the Guys and Gals at BoingBoing. http://boingboing.net/2007/09/30/pratchetts-discworld.html#. Thought you might like it if someone has not already suggested it. Thanks for all the hours of shows! Love everything you both do. Just listened to episode 46 and heard you pondering about where to start in the Discworld series. Well as someone who has absorbed the entire works of Terry Pratchett (TP) I would advise you not to worry about it and just jump into the series where ever you feel like. 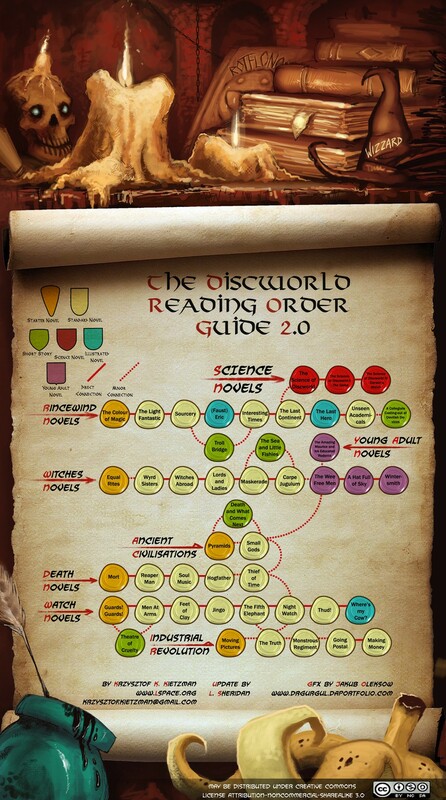 The Discworld novels do not occur in chronological order with one underlining storyline. Each book is its own individual story which just occurs within the Discworld universe. Characters constantly re-appear throughout the series however each book focus on one main character, therefore never encountering any of the characters before will not hinder your enjoyment. However the Tiffany Aching books are aimed at younger audience than the rest of the discworld series, which results in the books having a different feel. Therefore I would recommend you to check out some of TP’s other works such as Guards, Guards, Interesting Times, Witches Abroad or Going postal to get a true feeling for the series. So Pratchett has always tried to write the books Discworld books is such a manner that you can pick it up wherever you'd like. You might enjoy a couple of references and inside jokes if yu've read the whole series, but you shouldn't let it stop you if you're new to Pratchett. Especially not when it comes to the Tiffany Aching series. In all fairness it is possible to group together ""series"" within the Discworld series that you might like to read in order. So that the handful of books starring Captain Vimes of the City guard would be more rewarding to read in their proper order, but it's entirely unimportant whether you read these before or after the books about the Lancre Witches. The Tiffany Aching books constitutes such a saga. Thanks also to Gavin, Curt and Rob who wrote in about Pratchett orders as well! Kate also posted this helpful chart in the forums. For some reason the last podcast entry didn't take in the iTunes feed, so I'm adding it again under a different file name: [display_podcast] Thanks for your patience! Set in the distant future, Memoirs Found in a Bathtub is the horrifying first-hand account of a bureaucratic agent trapped deep within the subterranean bowels of a vast underground military complex. In a Kafkaesque maelstrom of terrifying confusion and utter insanity, this man must attempt to follow his mission directives of conducting an "on-the-spot investigation. Verify. Search. Destroy. Incite. Inform. Over and out. On the nth day nth hour sector n subsector n rendezvous with N."
[display_podcast] But we have more than just that to talk about this week! Tom and I have also been reading Pattern Recognition and Spook Country, both by former S&L author William Gibson. Have you read either of them? What are your thoughts? And we have sad news... author Michael Crichton has passed away. Join the discussion on the forums about his life and works. ______ Check out Audible! 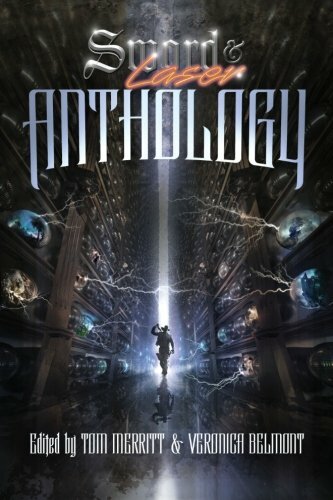 Journey to a world beyond words with Audible Sci-Fi & Fantasy. Check out Audible for exclusive access to your favorite sci-fi and fantasy authors and exclusive commentary. In addition, the new imprint, Audible Frontiers features new and sometimes previously unavailable audio books made available for the first time in audio. Click here for a free trial offer and get your first audio book free. #012 - The S&L Podcast: Biggest book pick ever! Frogg Lately, I have been doing a good chunk of my reading on the bus on my way to work. Whenever I leave the house, I always have my iPod on me, so I find myself listening to music while reading. Does anyone else do this, and if so, what do you listen to? I usually shy away from anything with lyrics. It makes it hard to concentrate if I get caught up listening to the words, so most of my reading is done listening to post-rock stuff like Godspeed You! Black Emperor, Thee Silver Mt. Zion, Esmerine, etc. Recently I have been on a William Gibson kick, and ambient electronic music such as Boards of Canada or Apparat go very well with it. terpkristin I can't listen to music while I read, even something without lyrics. If I try, I soon find myself humming along with what I'm listening to and not paying attention to what I'm reading. I do write with music on, though, typically something electronic. 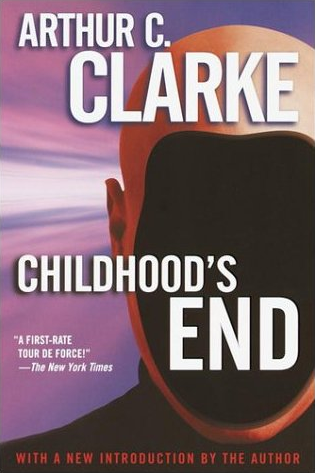 We're back full-speed ahead into the science fiction genre with Arthur C. Clarke's Childhood's End. The book (as well as the other voting nominees) are now available in the S&L Store, or where ever you pick up your books! Here's a little bit of a review to whet your appetite: It sounds like a story you've heard before: great alien masters descend on Earth and take control of the world, ushering in a golden age that may be cleverly disguised creative slavery. But Clarke's legendary novel (equal to Rendezvous with Rama and 2001: A Space Odyssey in fame) isn't about a human rebellion against alien overlords, but the evolution of humanity into its next stage, and the ultimate dwarfing power of the unknowable order of the cosmos. I'm really looking forward to this one! Join the discussion group here. We'll be releasing another podcast episode in the next couple of days, intro-ing the book and discussing some other the themes (among other topics, of course). If you have anything you'd like us to talk about, email your suggestions to theswordandlaser [at] gmail [dot] com. Loyal, privileged, and brave, Nevare Burvelle proudly embraced his preordained role as soldier in the service of the King of Gernia—unaware of the strange turns his life would ultimately take. Exposed to a plague of enemy sorcery that felled many of his compatriots, he prevailed, but at a terrible cost to his soul, body, and heart. Now he stands wrongly accused of unspeakable crimes—including murder, the most heinous of them all. Shadowmarch: Volume 1 introduces a world conquered by humans, who have driven the Qar, or fairy folk, into the far north. There, the Qar hide behind the "Shadowline," a mysterious veil of perpetual mist, which drives mad any human who dares enter it. Bordering that mist and named for it is Shadowmarch, the northernmost human kingdom. There are several story lines in this book, and I'm really excited to see how they all relate to each other! As you can see, I've started a Goodreads account, and Tom has one too (which he's obviously spent a lot more time adding to than I have, I might point out). It's a great way to list the books and authors you're into, and also find new things to read! But don't get too distracted, we're still supposed to be working on S&L Book 4!